I wanted to try something new for lunch last Saturday. The set meal offerings that Nana's Green Tea had outside of its store looked really appetizing so we decided to eat there. 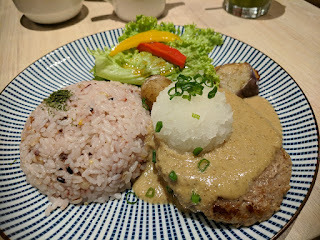 I had been to Nana's Green Tea a few times for snacks, so it was my first time to have a full meal there. I ordered the hamburger meal set. I was a bit apprehensive at first since I didn't know if I would like the sauce that they put on top of the burger. 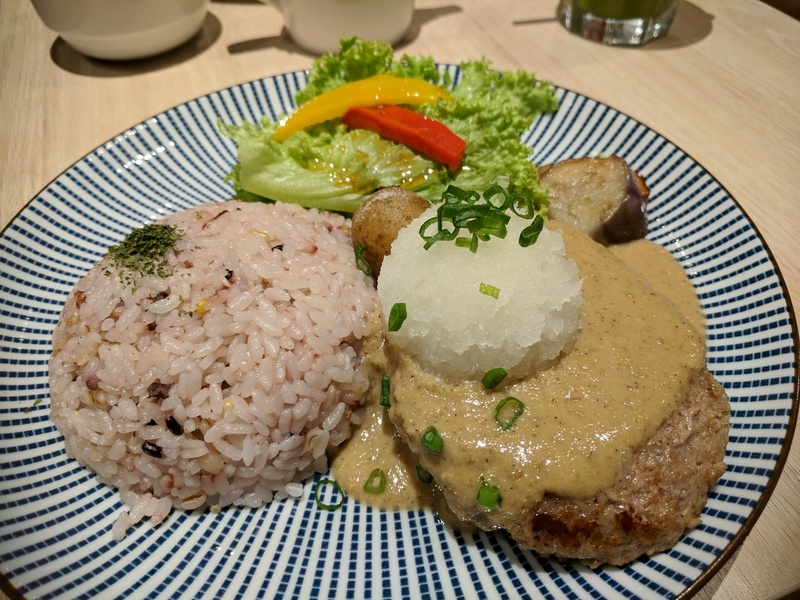 Japanese burger is so tasty since it usually has milk and bread crumbs in it, but I usually pair it with a Japanese brown sauce and not gravy. Nana's Green Tea served it with peanut tasting gravy and grated raddish. It was a burst of flavors when I took my first bite. It found it a bit disconcerting that the gravy tasted like peanut butter, but the flavor just matched the burger perfectly. I will definitely go back to Nana's Green Tea for the burger. To matcha my meal I ordered cold matcha latte with vanilla ice cream. I had the ice cream added since I find green tea a bit bitter. 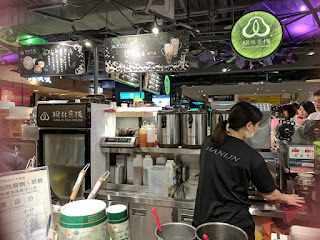 Mixing vanilla ice cream and green tea latte makes the beverage just perfect for me. 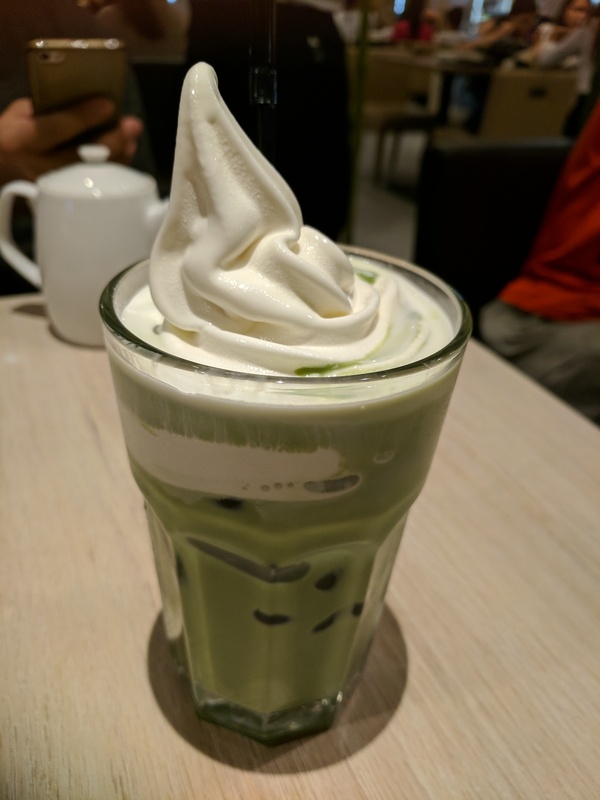 I used to order matcha green tea shake, but it takes me so long to finish the drink because the ice takes longer to melt. Latte + ice cream works best for me. 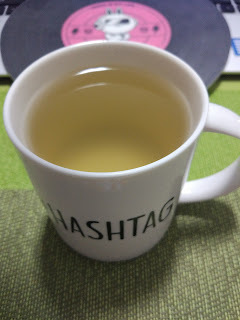 I also like Nana's Green Tea matcha beverages because you know that the green tea they use is real and not processed. Some similar drinks lose the green tea flavor because they try to mask the bitterness too much. 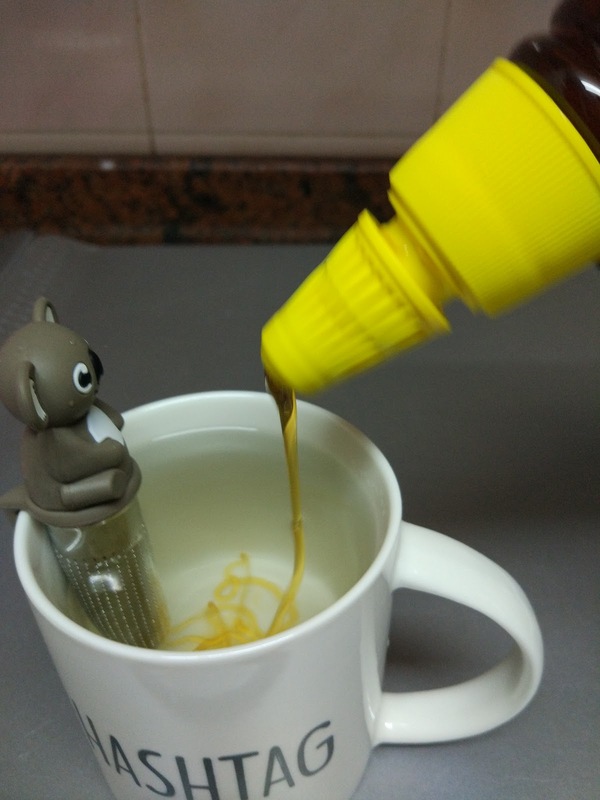 Hubby prefers hot tea, so that's what he usually orders when we eat out (it's his teapot in the background of my yummy drink). 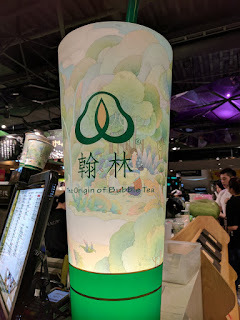 Nana's Green Tea is located at Plaza Singapura. I will surely be back soon! 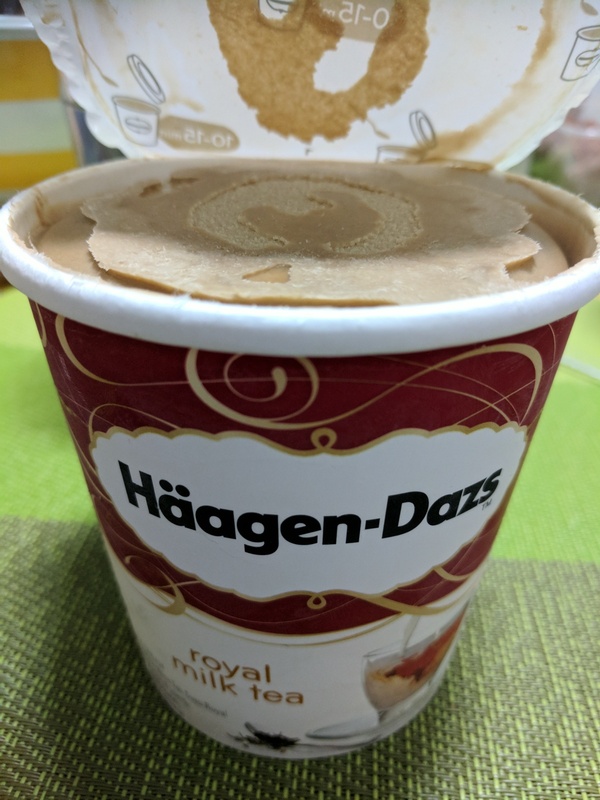 Two weeks ago I saw a post made by Haagen Dazs Singapore that they were selling special milk tea ice cream! I immediately looked for their branches and my heart sank when I realized most of the branches were far from my home and workplace. Delivery was also not available in my area. I also did not get a reply from their FB page when I asked if there were other places I could get it from. Yesterday after a botched doctor appointment I took the bus to Plaza Singapura so I could take the train home from there. I decided to drop by Cold Storage so I could get a few ingredients I needed for my dinner project. I usually avoid the fridge areas in Cold Storage because it can get quite cold. 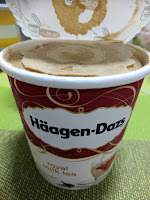 Last night I decided to brave the ice cream aisle to check if they were selling Haagen Dazs ice cream. 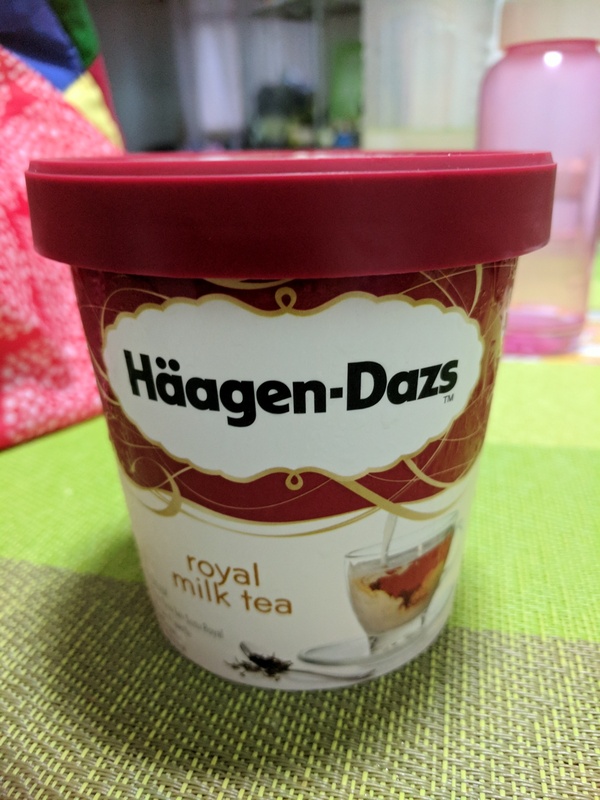 I was ecstatic when I found out that they had Royal Milk Tea ice cream available. Immediately rushed home after buying the ice cream and a few other things. My knee was numb from having my grocery bag on my lap during the train ride home. Cooked dinner and after the meal I happily pronounced, "Time for milk tea ice cream!" My other favorite ice cream flavor is mocha (by Magnolia or Selecta). I've been craving for milk tea ice cream since I tried it last month in Hong Kong so the quest to find the Haagen Dazs ice cream is very important to me. 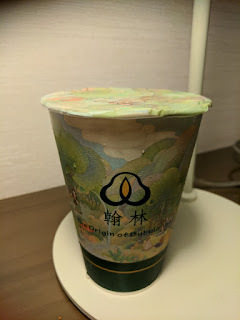 I usually have royal milk tea when I'm in Tokyo. It took me some time to get used to the flavor. I must say that royal milk tea is better when it's ice cream. And best eaten from a cone! 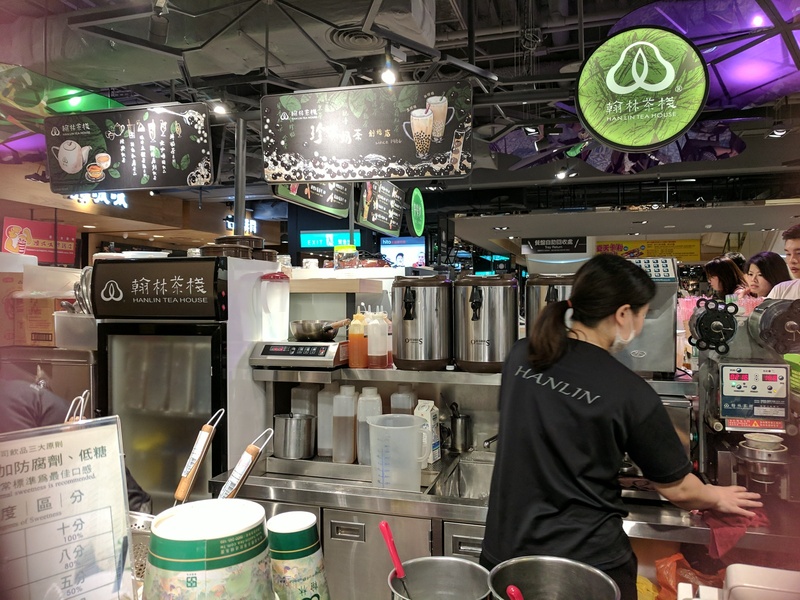 Last night I had the opportunity to walk around the vicinity of my hotel and found "Hanlin" at the food court. Hanlin boasts that they are the origin of bubble tea. They have been around since 1986. 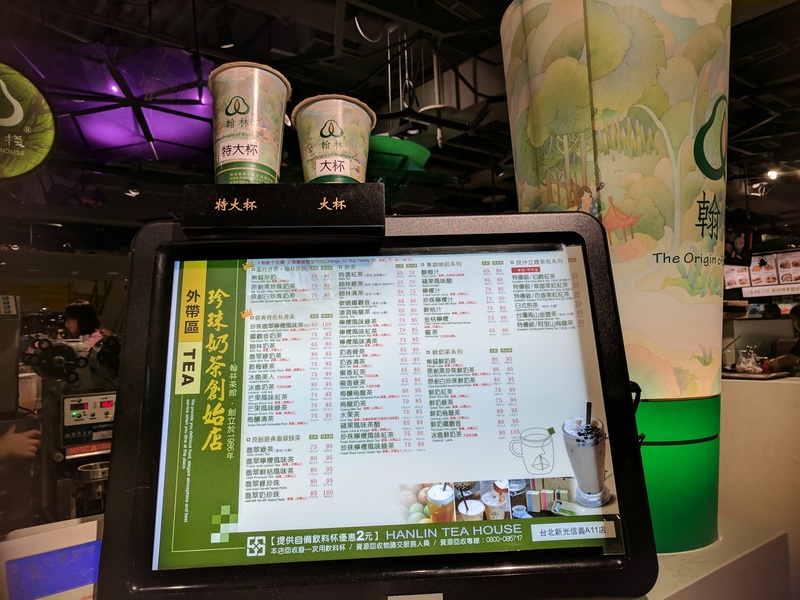 The menu had a long list of choices but I didn't want to be too adventurous so I just got the tieguanyin milk tea (but without bubbles). I realize though that I should've ordered it with bubbles and with 80% sugar (next time!). No bubbles and just 50% sugar is just like putting milk and tea together without the oomph. I still like that it was flavorful though. Brought the cup back to the hotel since I didn't want to hangout in a busy food court. I paired it with creamy tomato mushroom pasta from Underground (a no meat resto). I had a fabulous dinner with my boys joining me over Google Hangout. According to naturalon.com, basil tea helps with diabetes, arthritis, kidney stones, relieves headaches is a natural pain killer, supports oral health, immune system, respiratory health, and healthy skin. In addition, basil contains iron, calcium, manganese, magnesium, vitamin C and potassium. 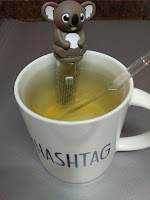 So drinking a cup of basil tea not only induces relaxation, but is also a healthy alternative. 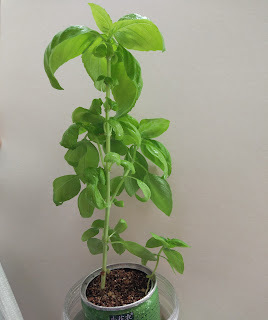 It's also easy to grow your own basil plant at home. Doing so will provide you with ample basil to make regular cups of tea. It will also serve as a reminder that when those leaves need to be harvested, then that's time you need to prepare basil tea. Preparing Homemade basil tea has never been so easy. 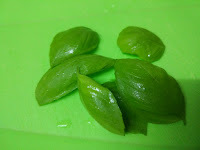 Cut 4 - 5 basil leaves from the stalk and chop in to smaller sizes to unleash the flavor. 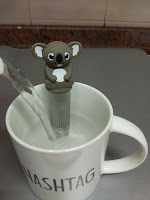 Place chopped basil leaves in a tea steeper or infuser. (Since we're just making one cup, we have our cute koala tea steeper placed inside a cup. Boil water and pour the hot water in the cup with the steeper. Stir and set aside for 5 minutes. And that's it! You have yourself a refreshing cup of fresh homemade basil tea.